Play and Signe promise real floor-to-ceiling ambiance. Signify's Philips Hue lights can certainly be used to illuminate your walls, but they're not usually meant for it. Even LightStrips are intended more as accents than room-defining centerpieces. That's where the company's latest kits might come to the rescue. 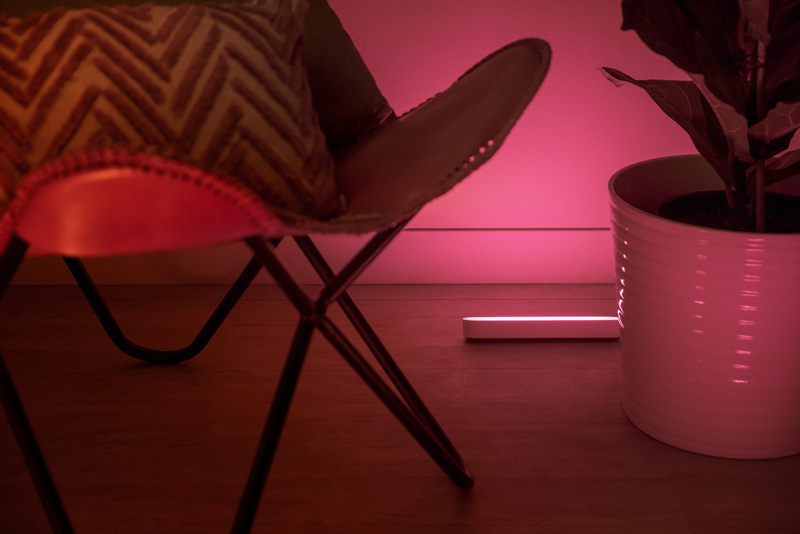 The Hue Play (below) and Hue Signe (above) are expressly designed to bounce colored light off your walls and provide floor-to-ceiling ambiance. The Play is a compact, upward-facing bar that can give your TV viewing sessions a glow without the glare of a bulb souring the experience, while the Signe is a vertical fixture that's built to blend in with your furnishings without taking up a massive footprint. The company pitches them as ideal for your living room entertainment setup, where they can sync with your movies, music and games. And frankly speaking, they could be handy for any situation where you want a large splash of color but can't justify a conventional lamp or strips. Pre-orders start for the Signe in early September, with the Play following in the middle of the month. Both should ship in October. As with most Hue hardware, it can get expensive depending on just how determined you are to create an impressive display. The Play starts at $70, but you can drop $130 on a two-piece kit. The Signe, meanwhile, starts at $160 for a table-sized light and jumps to $250 for a floor-based model. You might want to think carefully about lining an entire room, then, but they could hit the sweet spot if you want to light up your TV or fill a dark corner.